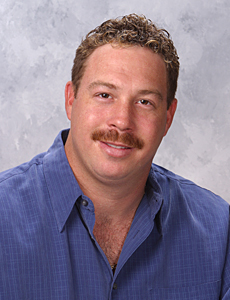 Jeff Feldman who is often called "The Fish Man" grew up in Brandon Florida and has been working with fresh and salt water fish since high school while working at pet stores in the Valrico Florida area. His love for all things living created the desire to build, set up, and maintain fish tanks for discriminating clients. The majority of Jeff's clients have Feldman's Aquarium Maintenance clean and service the aquariums on a bi-monthly basis. Jeff's satisfied clients are both residential and commercial. If you eat at local Tampa restaurants or go to a doctor's office and enjoy a beautiful fish tank they may be serviced by Feldman's Aquariums. Give Jeff a call to help you enjoy the beauty of either a fresh or salt water aquarium. And, yes he also maintains out door fish ponds.